Fantastic location! Bright spacious open plan. BACHELOR SUITE, new S/S appliances. Top floor, wide vista mountain views, quiet creekside cul-de-sac location, parking stall + storageImmaculately kept & professionally well managed building. 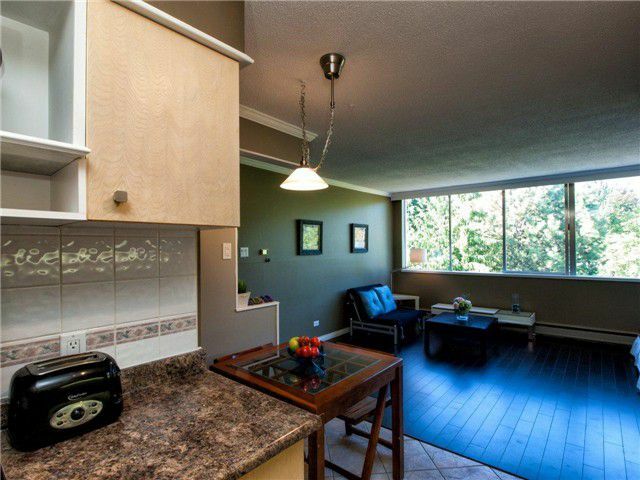 Short walk to all amenities, transit, shopping, restaurants & beach. No pets or rentals. Easy to show by open house or appointment anytime. Quick possession possible. Strata fee includes: management, gardening, hot water & cable! Call to view!